The External Micro Air Control (MAC) Valve gives you the ultimate in air control directly at the nozzle. This valve enables incremental control of airflow for fine to large spray patterns. 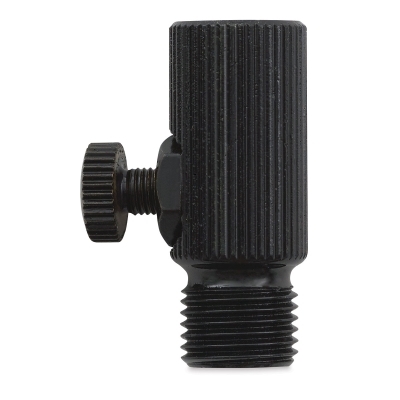 With a turn of the valve, you can go from spraying a coarse stippling effect to full atomization. Fully open the MAC Valve for wide background spraying or to quickly clean your airbrush during color changes. The External MAC Valve works with all Iwata airbrushes.